Thank you for considering giving! 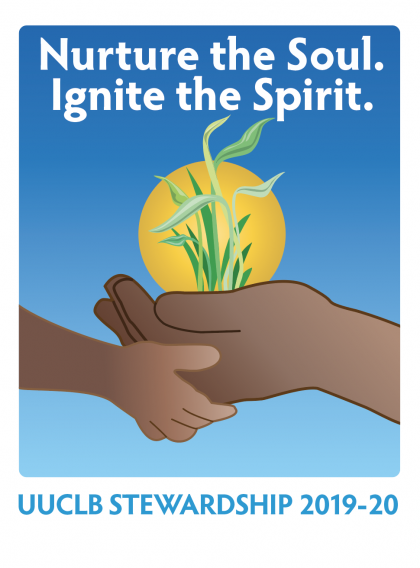 Your contributions make for a strong and vibrant Unitarian Universalist church and increase our presence and positive influence in the local and world-wide community, as well as employing our staff and keeping the lights on. The life and sustenance of our church relies on the support of its members and friends, through your gifts of your skills, talents, and labor (see the VOLUNTEER page), as well as through financial gifts. There are many ways to contribute financially to UUCLB. Sunday Collection: A collection is taken each Sunday. If you wish your contribution recorded for tax purposes, envelopes are available on the ushers’ table. Special Collection: The collection from the first Sunday of the month is donated to an organization or cause in our larger community. Contributions toward the month’s Special Collection can also be made at any time during the month by marking your donation for that purpose. Learn more about Special Collections. Stock Donation: Contact the Treasurer for instructions. The Treasurer will help you with your concerns and guide you through this process. Donate a vehicle: Enter name “UUCLB” and follow the instructions at this site: http://v-dac.com/. Planned Gifts: If you have remembered UUCLB in your estate plans already, please let the Minister know. Visit the Planned Giving page to learn more.